Are These The Best Casinos In Goa? You Bet! Goa has a mix of everything you’re looking for, and if you’re looking to test your luck and win some money, then you can head to a casino. Check out our list of the best casinos around, and channel your inner James Bond. Located on the picturesque Varca beach, Dunes is the casino at Zuri White Sands Resort. It offers a plush gaming experience, and is among the more luxurious casinos in South Goa. Roulette, Black Jack, baccarat, 3 cards Poker, mini flush rummy, baccarat and 20 odd slot machines are up for you to try your luck at. The dress code here is formals and smart casuals; head here for an evening away from the crowds. This secluded resort also hosts the longest swimming pool in Goa built amidst palm trees, complete with a waterfall, a kiddy pool, swim-up bar and overhead wooden bridges. The broke man’s Deltin Royale, Casino Pride offers most of the games the former does, but does not leave a gaping hole in your pocket. 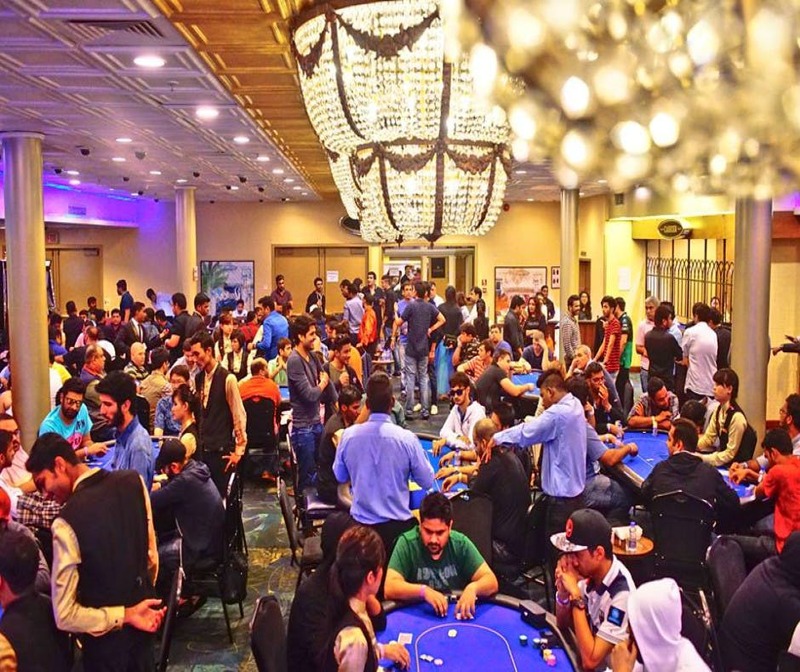 It’s a hugely popular casino particularly amongst Indian players as it offers a Bollywood-style live gaming act for more than 500 guests at a time. Floating off River Mandovi, Captain Of Ports Jetty at Panjim, the casino sprawls of 30,000 square feet and offers Baccarat, Roulette, Mini Flush, Flush, Blackjack, Casino War, Rummy, 5 Card Poker, Andar Bahar and Texas Hold’em Poker, along side quite a few slot machines. An ideal casino for beginners, Deltin Jaqk also, located in Pajim, at the Fisheries jetty, allows you to revel in the casino experience, without having to get intimidated by pros. Three floors that are spread over 12,000 square feet of slot machines and gaming tables, Deltin Jaqk hosts a special learners’ table, where beginners can get to know the game, before going in for bigger bets. A bar and restaurant that serves an unlimited buffet and unlimited drinks of the house brand is an added plus! And, if you want to stay and play, there are Deltin Suites to spoil you silly. Tariffs here start at INR 2k. We can’t think of a more perfect name. Located in Vainguinim Valley (close to Panjim), this casino attracts lesser attention due to its quieter location. The oldest onshore casino, they even have a buffet dinner for visitors. If you’re looking for the casino vibe but don’t want to play, go here on Tuesday, Friday and Saturday to enjoy live gigs and performances. They have an INR 750 cover charge that’s known to surge to INR 2k during peak season. Deltin Royale is 40,000 square feet of pure casino luxury! Floating on the azure waters of river Mandovi, the casino boasts of 123 gaming tables, a dedicated poker room, as well as a room exclusive for Teen Patti (Indian Flush). Add to that, a gourmet restaurant, an entertainment zone, a kids zone, and (drumrolls) an exclusive whiskey lounge that has an assorted selection of the choicest single malts and hand rolled cigars. Inevitably, it is one of Goa’s most happening casinos and if you’re big on the game, the casino also provides gaming suites where you can stay and play. Packages start at INR 4k and the dress code remains smart casuals. Want to enjoy the spectacular views of the Mandovi river, while you flirt with Lady Luck? Crown Casino is your best bet! The new, and hip kid on the block, Crown Casino is located on the first floor of Crown Hotel, one of the best rated luxury hotels in Goa. The casino’s USP — of course, the huge, clear glass walls that flank the sides, overlooking the gorgeous Mandovi river. Two exquisite gourmet restaurants — Harbor Café and Hanging Garden offer a wide spread of delicious meals, while the Divine Spa offers that restorative massage after a long night of strenuous gaming! The casino offers an array of gaming options like Roulette, Ultimate Texas Hold’em, Black Jack, Three cards Poker, Lucky 7, Video Roulette, Double Diamond, IGT Video Poker and Wheel of Fortune. Located at the poignantly named La Calypso hotel, in Baga, Casino Palm is the largest onshore casino in Goa. Again a great place for beginners, Casino Palm offers entry at a mere INR 1,000 on Friday and weekends and of INR 700 from Monday to Thursday, which includes complimentary food and drinks. A multi cuisine restaurant and two well stocked pubs, one of them by the pool offer an array of exquisite tropical drinks. The next time you are travelling to Goa with your family, but can’t let go of that gambling itch, Casino Palm is your best bet!